Little Nightmares Complete Edition Available October 27 | Nerd Much? Players will be exploring all new areas of The Maw with The Runaway Kid. Bandai Namco has announced that there will be a complete edition of Little Nightmares coming out October 27, 2017 for the PS4 and Xbox One. 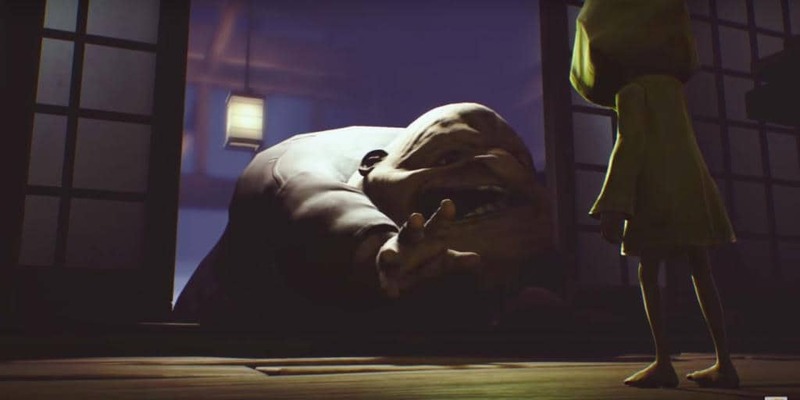 The edition will include the Little Nightmares season pass, which features three DLCs that will take fans even deeper into the mysteries of the game. The first DLC is titled The Depths and stars the little boy that Bandai Namco has only teased before. He is called The Runaway Kid, and players will be exploring all new areas of The Maw with him. The Runaway Kid is another prisoner, like Six, that is determined to escape his fate. As stated on the store page, The Kid will offer “a different perspective on Six’s adventures.” We’ll have to wait until the release before we find out what that means. I wonder too, if The Kid’s adventure starts before or after the end of Little Nightmares. If it starts at the end, then I do wonder what Six is up to and what part she plays in The Kid’s escape. After all, he motives changed quite a bit and she might not feel inclined to let The Kid escape, if there is an escape from the Maw at all. The last two DLCs are yet to be announced and have neither titles nor release dates. Hopefully those too will help explain a little more of what is going in the world of Little Nightmares. If the complete edition sounds like a great option for you, you can pick it up now for $29.99 USD. There is a 20% sale on the Canadian version for the PS4, getting the price down from $39.99 CAD to $31.99 CAD. The sale ends September 12, 2017, so be sure to take it up soon if you happen to be in the right region. Little Nightmares is gothic-horror platformer staring a little girl called Six and her desperate escape through The Maw. The story is told in the background, and it is up to the clever player to pick up the details and figure out what The Maw is and who Six really is. You can check out our review of Little Nightmares here, where we commended it for its unique story and easy-to-digest narrative.